The main and adjoining building that Brimmer & Heeltap occupies have a beautiful history that our team cherishes. And, if you’ve never dined in our detached garden studio then you have got to put doing so at the top of your summer to-do list. 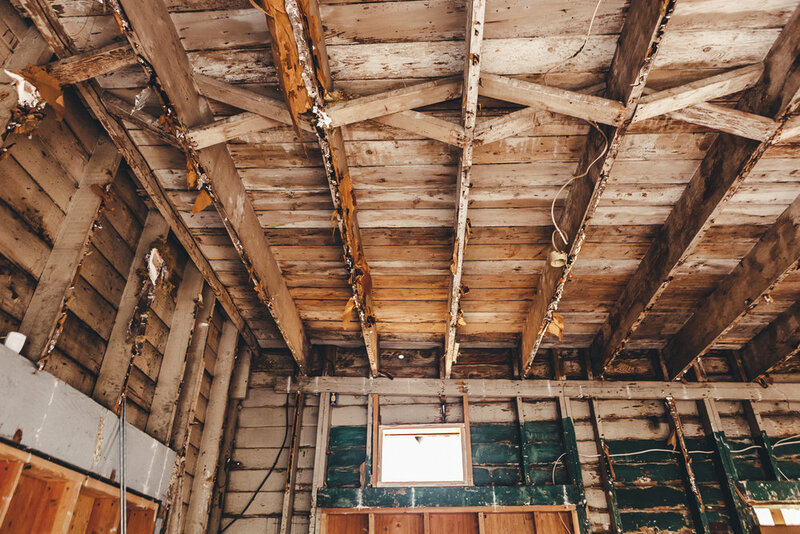 When Brimmer & Heeltap proprietress Jen Doak first laid eyes on the one-hundred-year-old 400 square foot structure sitting just behind the restaurant, she saw much more than an old, dusty dry storage space. She saw wedding ceremonies and family gatherings. She envisioned an open-air space where the restaurant’s neighbors could flock to in the summertime. She pictured a fire pit where her team could gather after a long night to share beers and laughs under the moonlight. In spring 2015, after months of renovations, Brimmer & Heeltap eagerly welcomed guests to its expanded three-part garden patio and newly polished private studio. In the years since, the restaurant has hosted dozens and dozens of special events in this space; from birthday celebrations to holiday parties and everything in between, the garden studio has served as a year-round backdrop to gorgeous gatherings. During the summer, when it’s not being used for winemaker dinners, wedding receptions, and private brunches, the B&H team opens the garage door to the studio, creating a dreamy, open-air patio experience. There’s nothing we love more than serving our guests in this part of the restaurant on a warm summer evening. Now that a few summers have gone by it’s amazing to think that this space wasn’t available to dine in until fairly recently. Brimmer & Heeltap’s garden patio and studio have been listed as among the best in Seattle; it’s a well-kept secret that is made all the more beautiful by its various thoughtful design features and Jen’s incredible green thumb. Marian Built and Sean Sifagaloa of KRFTWRK helped bring this space to life by lending their respective craftsmanship and keen eye for design to the process of turning the previously unused dry storage shed into a place where people could happily eat and imbibe. Local ceramics artist Larry Halvorsen has been equally instrumental in helping transform this garden oasis with his gorgeous sculptures. 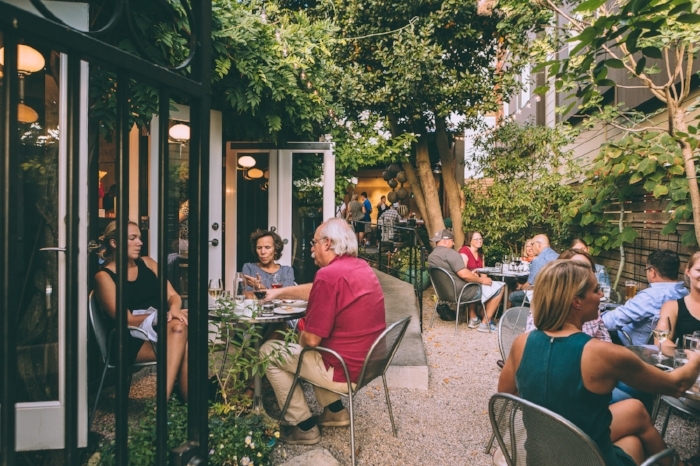 Of course, the most cherished part of our garden patio is all of the neighbors, friends, and regular guests who fill this space every spring and summer and have just as much love for it as we do. It is our sincere pleasure to serve you, especially when it’s al fresco in the garden. As the weather forecast continues to tease us with the promise of sunshine and warmer weather, we’re excitedly gearing up for our third summer of outdoor dining in the garden and studio. We look so forward to sharing patio season with you.